Fishing in the Cape Hawk area we target – Snapper, Flathead, Tailor, Slimy Mackerel, Dolphin Fish, Pelagic Fish, Sharks and Crustaceans. We can accommodate up to 11 people on the “Cavanbah” and are available for single charter. You decide the location and the time and we will take you there and look after you. Here you can either fish, be it deep-sea or reef, snorkel, free dive, watch Wales or Dolphins, take pictures or just relax and go for a swim. If you are a beginner Robbie and his crew will assist you in everything, from baiting your hook and taking of the catch. If you want to use your own gear feel free to bring it and use it. 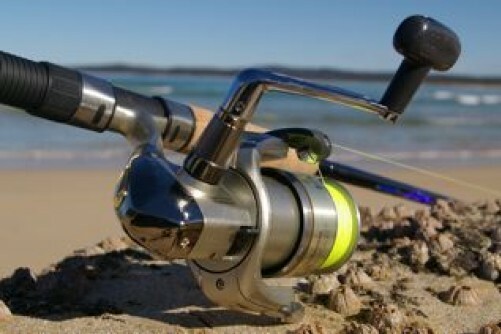 The Broughton Island, Nelson Bay and Seal Rock fishing trips are for a minimum of 6 people for up to 5* days. 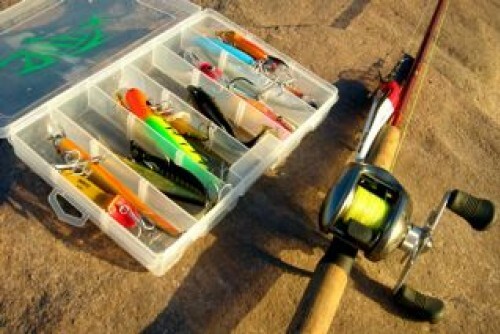 The packages are a combination of fishing, accommodation and meals. In the Broughton Island Fishing Escape accommodation is provided in huts on he island. The island is uninhabited and the huts are the only accommodation. All meals are provided during your fishing adventure. In Nelson Bay and Seal Rock accommodation and meals can be adjusted to suit your requirements. For pricing on these packages use the “contact us” button on the right * the length of the Escape Package is up to negotiations. 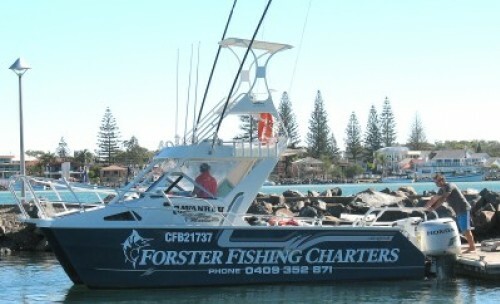 Departure Point: Forster Boat Harbour wharf- A free pickup and delivery service is available, if required, to all Tourist accommodation in Forster/Tuncurry. Inclusions: All rods and reels as well as bait and tackle are supplied. For your ultimate fishing experience you will have a choice of: Chimano or Powertip overhead Rod & Reel or Penn traditional Eggbeater Rod & Reel Using 15kg Mono Lines. Our large comfortable center seat is actually a big esky (ice box) which will keep your food and drinks cool all day. Personal service for beginners at the end of the day your fish will be cleaned, that is, gutted – filleted -scaled and packed for you to take home. Exclusions: Please bring a hat and sunglasses as well as lunch and drinks (alcohol is accepted). Sunscreen is supplied on board. Robert’s qualification as Captain/Skipper are: Master 5 Certificate, MED 3 Certificate, First Aid Certificate. Robert (Robbie) has been a professional fisherman for over 9 years in the Forster/Tuncurry area. The equipment on board of the Cavanbah consist of the following: VHF Radio 27 Meg Marine Band Radio, Garman GPS/Plodder, JRC Sounder, CD Player It also has a comfortable Spotting Tower for Whale and Dolphin watching and taking of photographs.